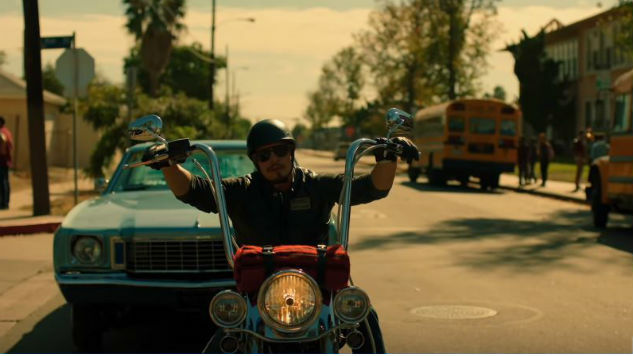 FX Releases First Trailer for Sons of Anarchy Spinoff Mayans M.C. Images via FX/YouTube TV News Mayans M.C. Just in time for the show’s Comic-Con panel, FX has released a new trailer for Kurt Sutter’s Sons of Anarchy spinoff Mayans M.C. As Variety reports, the series stars JD Pardo as Ezekiel “EZ” Reyes, a recently released convict hoping to gain entry into the show’s titular motorcycle gang. The club is composed of familiar characters like Emilio Rivera’s Marcus Alvarez, a recurring antagonist throughout the original seven-season run of Sons of Anarchy. In a brief flashback, it appears that EZ was a student at Stanford before prison derailed his life, and his family clearly disapproves of his involvement with the gang. “You’re in this now son; there’s no getting out,” says his father, played by Edward James Olmos. Either way, EZ is a long way gone from the clean-cut college student shown in the flashback. Mayans M.C. premieres Sept. 4 on FX. Watch the show’s trailer below.